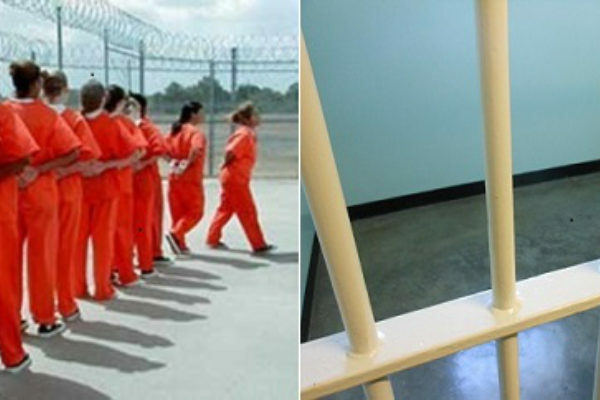 Most of the female inmates interviewed in Hard Times, a 2012 research report on women prisoners in Pollsmoor produced by the University of Cape Town’s gender, health and justice unit, had experienced some form of physical or sexual abuse growing up. 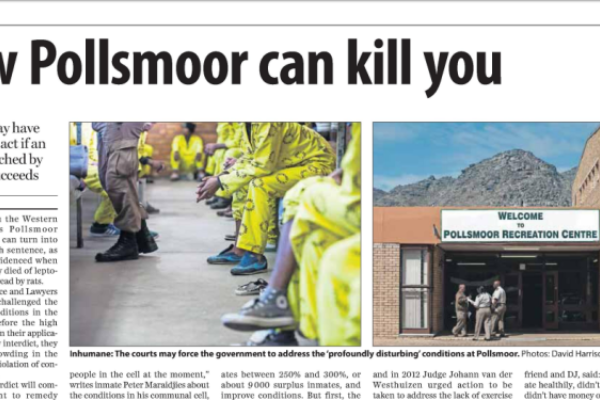 Sonke Gender Justice and Lawyers for Human Rights challenged the life-threatening conditions in the prison last week before the high court in Cape Town. 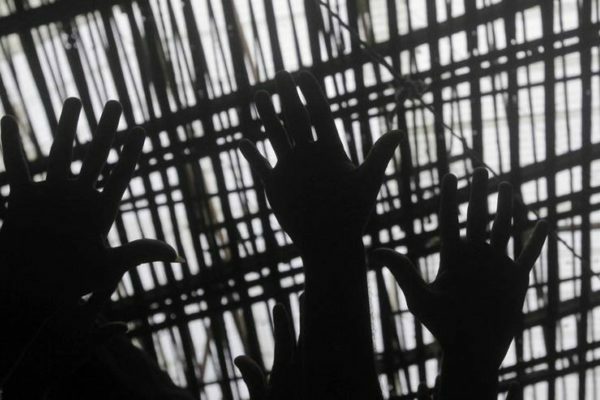 In their application for a supervisory interdict, they claimed the overcrowding in the remand section is a violation of constitutional standards. Having represented the torture-survivors for ten years with no remuneration, Egon Oswald has now lodged an application for leave to appeal Judge Dyalan Chetty’s decision to dismiss claims by Xolani Siko and Simphiwe Mbena - the first of 231 potential St Albans plaintiffs. If the plaintiffs’ application is successful, it could pave the way for one of the largest damages claims ever instituted against the Minister of Justice and Correctional Services. On the other hand, Chetty’s judgement was more than damning in its criticism of both the claimants and the defense witnesses. 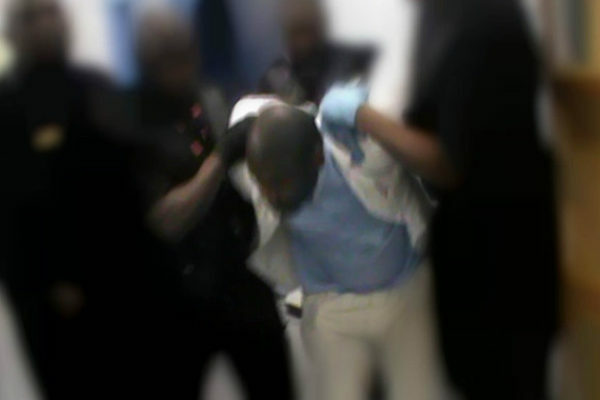 British security firm G4S, which runs Bloemfontein’s Mangaung prison, has denied lawyers access to a prisoner who claims to have been shot in the head with a rubber bullet by a warder. The next day, we visited Robert*. After his conviction in April, he was moved to the sentenced section of the prison. Hopes of a shorter waiting period at this part of Pollsmoor are dashed when a steady queue builds up at dawn, as the first sun rays pierce through the grey clouds above Cape Town. Six hours later, Robert appears on the other side of a chipped and grimy cubicle. 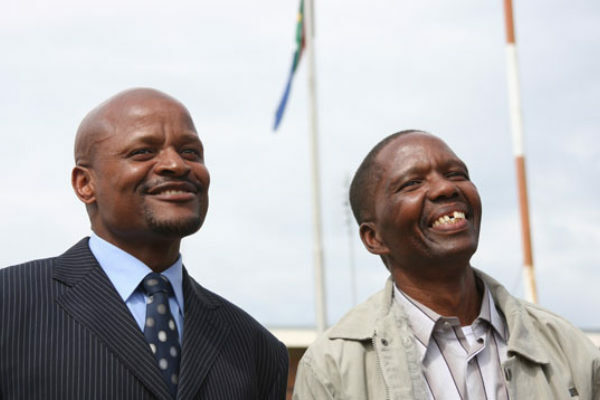 “Thembekile Molaudzi spent 11 years in prison for a crime he didn’t commit, the murder of a policeman. While the only evidence against him was the statement of a co-accused who later recanted his testimony, his appeals were nevertheless dismissed. On a cold winter day in 2005, inmate Isaac Nelani asked wardens at Mangaung prison, run by British security firm G4S, for an extra blanket to keep him warm. The prison walls emitted a chill that crept into his joints and bones. 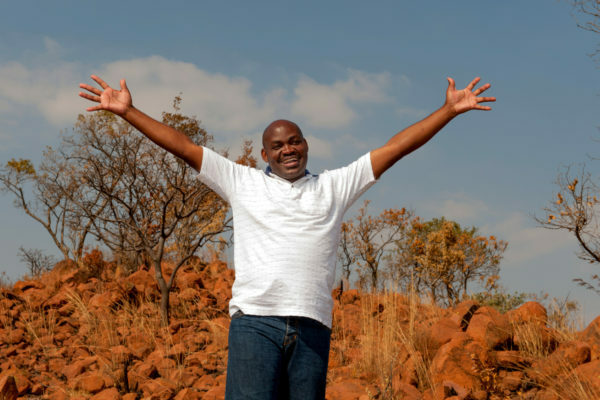 Nelani, a 47-year old inmate at Mangaung prison, was HIV-positive, which made him more susceptible to the cold. 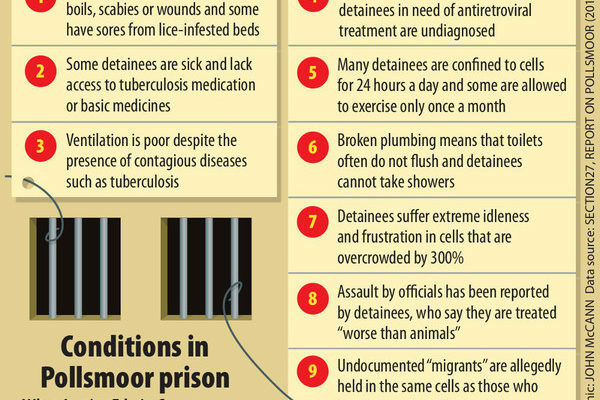 Prisons are a breeding ground for the spread of communicable diseases. Just for the quarter October – December 2014, the Judicial Inspectorate for Correctional Services (JICS) received 11 reports of natural deaths caused by TB, a preventable and treatable disease. “I’m innocent” is a refrain prison warders hear with such monotonous regularity, they mostly don’t listen. Zonderwater warder Levi Maphakane proved the exception to the rule. 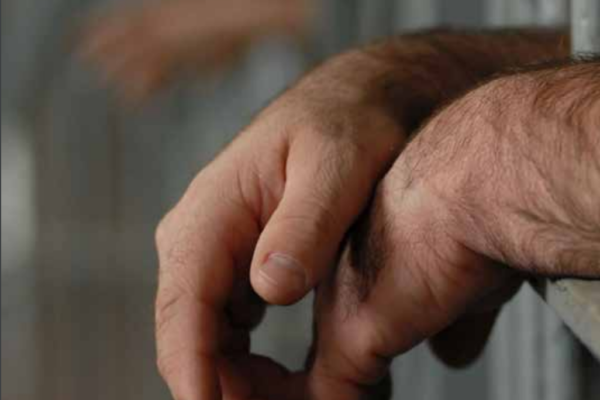 He not only listened to repeated protestations of innocence by inmate Thembekile Molaudzi – sentenced to life imprisonment on four counts including murder and robbery more than a decade ago – he contacted the Wits Justice Project (WJP) for help. 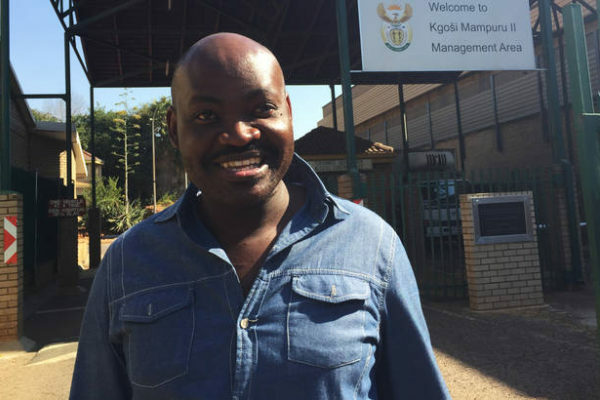 Last week, the Constitutional Court reversed its own ruling regarding Molaudzi and ordered his immediate release. CAROLYN RAPHAELY reports.